This cake would be a lovely Easter cake! HONEY BUNNY! Preheat oven to 180°C. Mix all dry ingredients in one small bowl and all wet ones in a medium one. Then mix dry ingredients into wet ones. Mix until smooth and fill into oiled and floured spring form. Bake for 40 minutes or until an inserted toothpick comes out clean. Let cool completely. Mix all frosting ingredients and evenly spread on halved cake and on outside. 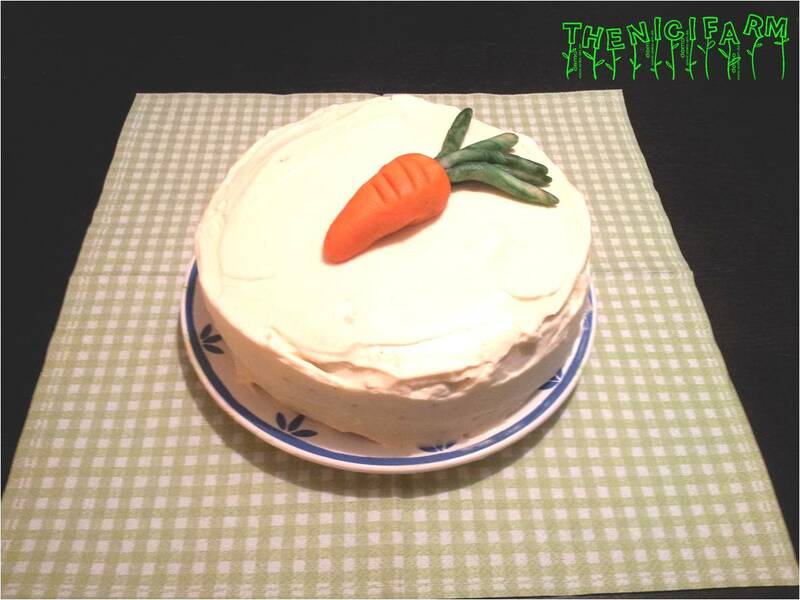 Decorate with a marzipan carrot.